Part of getting back on track is getting back to weekly meal prep on Sundays. By the time I get off work, commute home, walk my pup and then feed her, it’s about 8:00 p.m. and I’m way too tired to cook and way too often I’m making bad health choices. Then, I don’t have any food to take to work for breakfast and lunch, which means I’m making my way to Au Bon Pain for breakfast and finding something that’s 500-1000 calories for lunch too often then I want to admit. So, I spent a few hours today making my breakfast and lunch for the week. And, I’m super excited about this recipe. Why? Because I love me some breakfast. On another note, Rachel Ray’s magazine is breakfast themed this month so I foresee some more breakfast recipes in the near future. Back to this week’s breakfast, which was pretty much the easiest way breakfast to make in bulk. 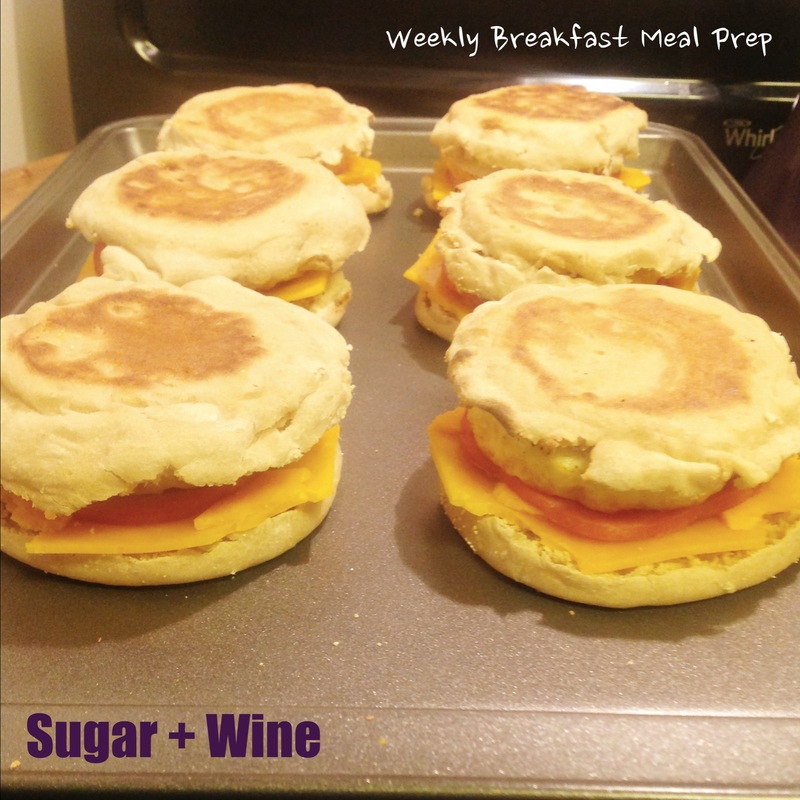 Ingredients (Time: 40 minutes) 6 egg whites 6 slices of cheddar cheese 6 slices of Canadian bacon 6 whole-wheat English muffins Salt and Pepper, to taste The How-To 1. Preheat your office to 350 degrees. 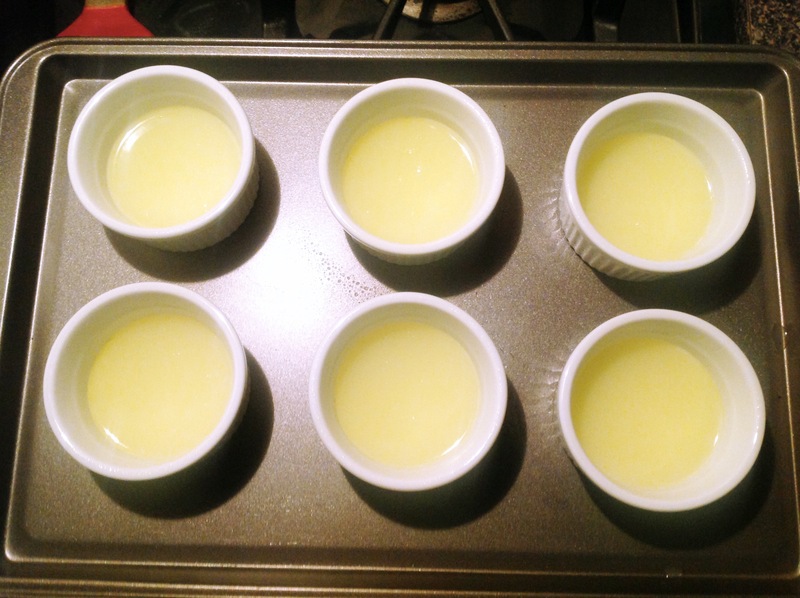 Grab your jumbo muffin tin, whoopie pie pan, or ramekins and spray them with Pam or olive oil. Then fill them with your egg whites. And, salt & pepper, to taste. Place in the oven and bake for 25-30 or until fully cooked. 2. While your eggs are baking, you will prep the rest of your ingredients. You should cut the English muffins and toast them, if desired (I did). 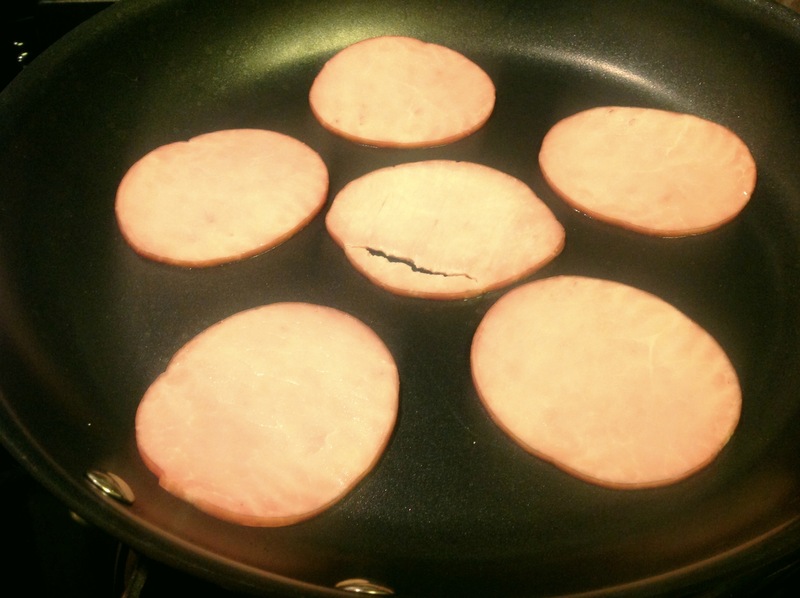 You’ll also want to brown the Canadian bacon. 3. Then, you assemble the all of the McMuffins. The tip I got from the original recipe poster was folk in the cheese corners, which was a fabulous tip and came in super useful. And, voila, you have breakfast for the week. 4. To prep for the week, I wrapped each one in wax paper and then aluminum foil. I chose to freeze mine so that they stay fresh all week long. And, I can still grab it on the quick and head to work. This is a great way to spend 40 minutes on Sunday making all of my breakfasts for the week. Well worth it! 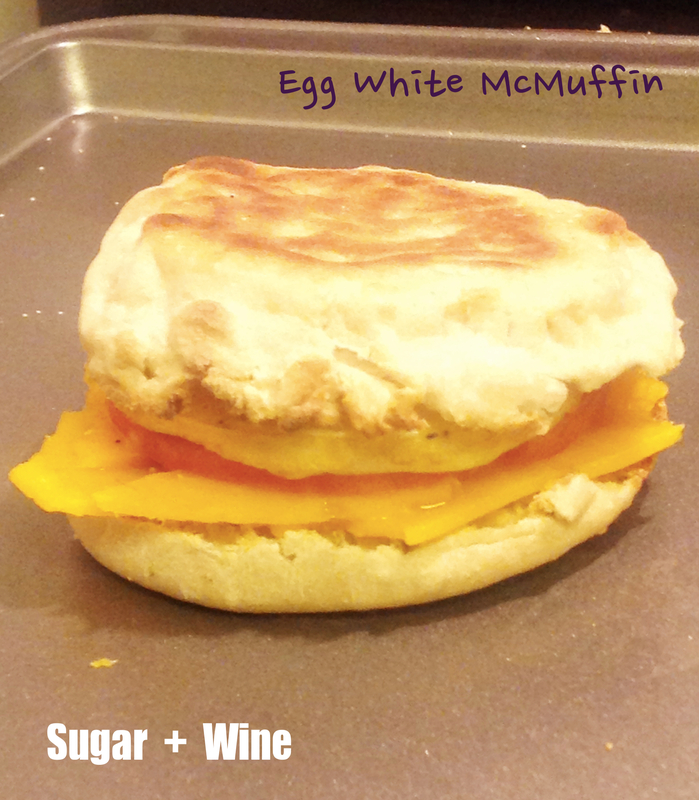 This recipe was adapted from The Yummy Life.